« Lo and behold! The 2014 Chester Fields Participants! Opening reminder: come see the talent from local youth next Friday, May 30th – from 5:30PM! Come on down to the Presentation House Gallery on Friday, May 30th, to celebrate the talent of local youth and check out their excellent photos! So much will happen on the opening night! There will be loads to see and do from 5:30PM. In addition to the opening for the Our Image, Your Image exhibition, three prize winners will be announced (two for $250 and one for $500). 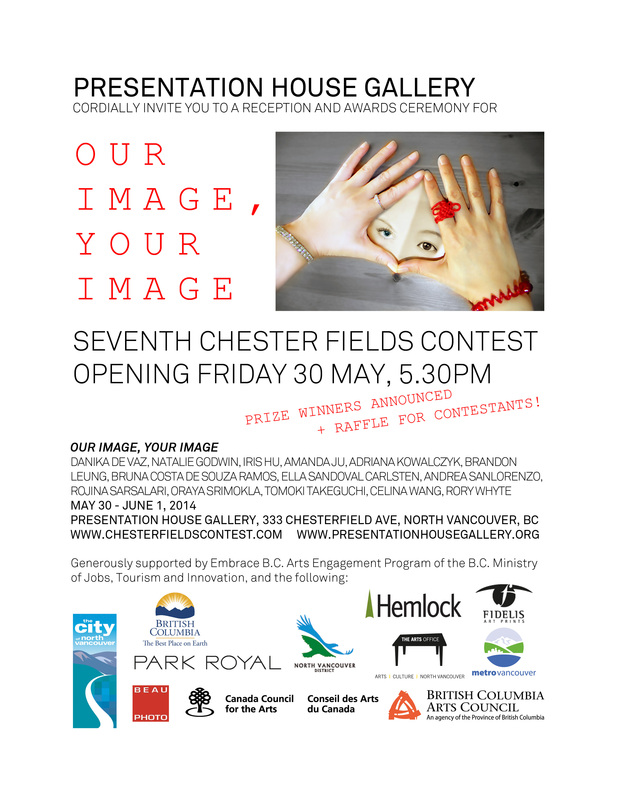 There will also be a raffle for contestants: for two 35 mm Holga cameras generously donated by Beau Photo, as well as a gift certificate kindly offered by Park Royal, West Vancouver. Any contestant can be eligible to win one of these three prizes, by showing up at the opening and simply marking their name down! The evening will also mark the launch of the Our Image, Your Image publication, which we are grateful that Hemlock Printers sponsored again this year.